While I'm in New York I thought it would be fun for all the ladies of Glitter Guide to share what being a Glitter Girl means to them. Over the next few weeks you will get to hear all about what it means to me, but this week each day will be about a different Glitter Girl. Caitlin is the author of the lifestyle blog Style Within Reach where she shares tips on staying fabulous without breaking the bank. She loves fashion, design, cooking and all things sparkly. I love your blog, gorgeous! love this! gorgeous pictures and outfit. The more sparkle the better!! i recognize that bottle of Cashmere Mist... It's my favorite, so soft and luxurious!!!! I love her description of a glitter girl because it's totally me! Minus the drinking but extra on the Jackie O! I love seeing people's perfume trays and little accessories those types of photos always seem just so pretty to me. Her outfit is divine and I keep going back to the pix of all those fabulous sparkly accessories. I love Caitlin's blog! So glad she'll be part of the Glitter Guide. Awwww the glitter clutches are to die for! Perfect accent to any outfit! What a beautiful outfit--that sequined top really makes it special. And I actually have a folder on my computer where I keep snaps of Diane Kruger's gorgeous outfits--I love her style! 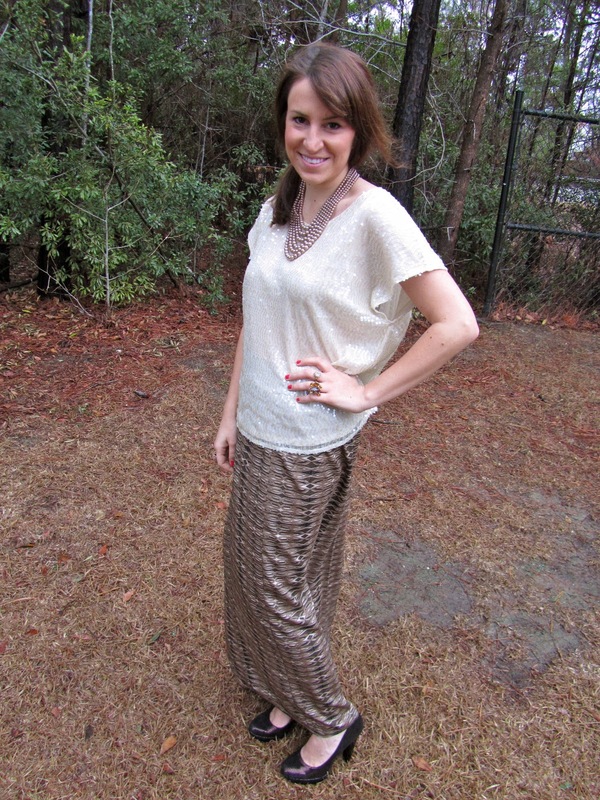 I love the jewels and your blog! I'm a new follower and looking forward to your posts! love her jewels!!! And glitter! i loove her definition of a Glitter Girl! definitely nothing wrong with being exceedingly glamorous! i have to admit Taylor, i am getting more and more excited for the launch of your new site! i LOVE the glitter clutch. jcrew?? Adore this! Such a fan of my bestie Caitlin. Looking forward to Glitter Guide!! thanks to all you lovely ladies for the sweet comments. i'm so excited & proud to be a part of taylor's exciting new project!